Changing industry fundamentals have sparked renewed discussions over whether it’s better to grow indoors, outdoors or in greenhouses. Here’s a look at the benefits and drawbacks of each method. The legal marijuana industry is moving into a new phase marked by falling product prices and increasing regulations. That one-two punch will reduce margins and force cultivation executives to rethink how to cut costs while maintaining or improving the quality of their crop. Which method is best? The answer depends on several factors ranging from the amount of capital you have and the local climate to local and state taxes and regulations. Each of the three has its pros and cons, experts agree. But you also probably want to consider how the future could unfold. Several growers and cultivation company executives concur that high-tech greenhouses will dominate, while outdoor grows also will play a role. Indoors is, for the most part, on the way out, these experts say. As cannabis prices slide in response to a ballooning number of producers, it will be hard for many indoor grows to keep up with the high costs associated with this approach – think electricity and heating – in addition to more efficient greenhouses. 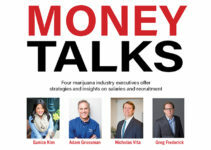 “While as an industry we are still in our infancy, this is still going to be nothing but a cost-of-goods game,” said Berto Torres, chief operating officer of GFarma Labs, a cultivation company that owns and manages greenhouse and outdoor grow sites in California, Washington state, Oregon and Nevada. The company has one indoor site left in California but plans to wind that down this year or next. “Our heart’s desire is to operate in all the states with greenhouse,” Torres said. 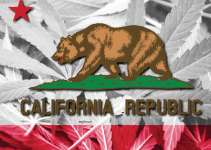 Sonoma Cannabis Company, in Santa Rosa, California, also is discontinuing its last indoor grows this year to focus on outdoor and greenhouse sites. Was it a hard decision? Still, he and other growers acknowledge that in some cases indoor growing may be viable – or even the best way to grow. 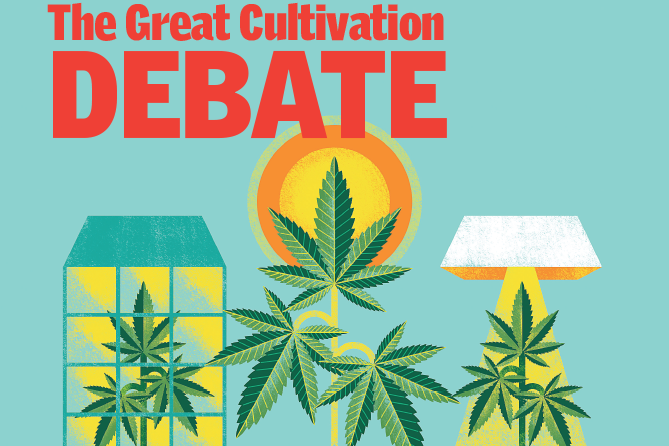 Veteran growers, including some who cultivate indoors, outdoors and in greenhouses, shared insights into the pros and cons of each medium they choose. When launching, outdoor is hands-down the cheapest and fastest way to go. But if you’re in a municipality that doesn’t allow outdoor growing, a new state-of-the-art greenhouse with light deprivation, supplemental lighting, and heating and cooling that are all controlled through automation will be significantly less expensive than constructing an indoor grow from the ground up – although you can probably get your indoor facility launched more quickly. Michael Cadwell, chief marketing officer at Los Suenos Farms near Pueblo, Colorado, noted a rival cultivator in the state spent $33 million on a 380,000-square-foot indoor grow, more than quadruple the roughly $8 million Los Suenos spent on 36 acres of outdoor and greenhouse space. “Our capital investment gets paid back much quicker, and the weight on the grid is a lot less,” Cadwell said. Sean Band, chief horticulturalist at the Garden State Dispensary in New Jersey, acknowledged that greenhouses are the way of the future and that his medical marijuana company will go greenhouse, eventually. But for the moment, it will keep its indoor operations. “Greenhouses are the long-term solution, but it’s the short-term disadvantages that make it less attractive,” Band said. While renovating a building may cost about the same or more as erecting a new fully automated greenhouse, the former route will get you in business more quickly, Band said. “It’s more about speed. It’s a lot quicker to get your operation going rather than having to build your structure from the ground up,” Band said. Finding an affordable piece of land on which to set up an outdoor grow or automated greenhouse can also be a lot harder than finding a renovation-ready building. To gut and renovate a building can take two to three months on the low end and six to 12 on the high end, Band estimated. And because of the high electric demands of cannabis growing, the job often must include an upgrade in a building’s power infrastructure. To renovate a 15,000-square-foot indoor grow space – excluding offices, processing and other space – costs $1 million-$5 million, Band estimated. Those costs, he added, will go down with scale, but probably not by much more than 10%. THE VERDICT: Outdoors is the cheapest and quickest to get up and running. Security is another important consideration. On this score, indoor grows win over outdoor and greenhouse sites. Band noted that the windows of his indoor grow buildings have bars to keep out intruders who break the glass. That’s not feasible in a greenhouse. Last year, Band’s company received one of Delaware’s three medical marijuana business licenses and bought a piece of property that included some basic greenhouses. But the state won’t let him use them because regulators don’t think they’re secure enough and are concerned about product divergence to the black market, Band said. He will eventually raze them and consider erecting new high-tech greenhouses. Lastly, Band noted, on a grow site business application, it’s harder to prove how you’re going to secure a greenhouse versus how you’re going to secure a building. THE VERDICT: Indoor grows are the most secure. While marijuana prices are falling, they’re still much higher than other agricultural crops. Growers and other observers estimated that outdoor cannabis was generally selling for between $750-$1,200 per pound wholesale in March, while indoor-grown cannabis was at $1,700-$2,200 per pound, observers said. They also noted that most of that $2,000-plus crop was coming from boutique cultivators growing relatively small amounts, like 10-20 pounds. It’s also important to note that most outdoor cannabis goes for extraction rather than flower, while cannabis grown indoors is reserved for flower, which fetches a higher price. Observers were less certain about greenhouse-grown marijuana, but at least some believe it gets the same prices as indoor product. That’s important because, if true, it may be impossible for indoor grows to compete given their higher cost structure. 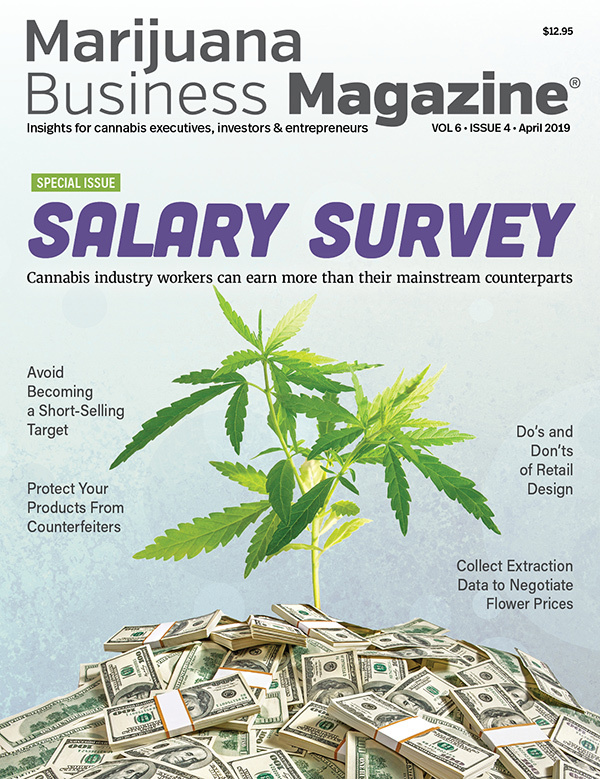 Collectively, most growers interviewed estimated it costs $200-$300 to produce a pound of cannabis outdoors, while it costs $300-$600 to grow a pound in a high-tech greenhouse. A pound of indoor-grown cannabis costs $400-$800 to produce, according to grower estimates. THE VERDICT: If cannabis cultivated in greenhouses is indeed fetching a similar price as marijuana grown indoors – while costing a few hundred dollars less to produce – then it’s hard to argue against greenhouse as the winner in this category. While it’s true that sunlight gives greenhouses an edge over indoor grows in terms of electricity costs, some growers – though not all – argue that sunlight also produces cannabis that is superior to cannabis grown under lights. “When you’re outside, the sun is the same intensity from your forehead to your feet. Indoors, you float a light overhead and it travels down 2 feet, and it start to use its lumens,” Torres said, referring to the unit that measures brightness. Or, going by the numbers, a 100-watt bulb produces up to about 1,700 lumens, while direct midday sunlight can equal 100,000 lumens or more. In other words, indoor lights aren’t as good as the sun, cost more and leave a much larger carbon footprint. That raises the issue of quality, on which growers are split. Band, the indoor grower, was less enthusiastic about greenhouse quality. “Overall, I see much higher quality come out of indoor, but a lot of the high-tech greenhouses are run by corporations and concerned about quantity rather than quality,” Band said. One advantage of indoor is that it’s easier to manipulate the environment – such as light and temperature – to draw out certain plant characteristics, Edwards said. When you can control the environmental conditions, he explained, you can allow the plant’s genetics to display what characteristics you want them to display. “That’s why with indoor you have certain strains that do certain things and put out certain terpene profiles, and they smell really unique. And that’s because in a scientific experiment you’ve kept all other variables constant, which allows the genetic characteristic to be displayed,” Edwards said. THE VERDICT: In this category, indoor gets the nod over greenhouse, but only by a sliver. While the quality of outdoor cannabis sometimes rivals marijuana grown in controlled environments, you’re exposed to Mother Nature’s unpredictability. “The biggest concern for growing outdoors is that you’re at the mercy of the elements,” Torres said. For example, GFarma lost about 15%-20% of its outdoor crop in Washington because it rained for nine straight days last October. The rain increased GFarma’s costs because the company provided outdoor heaters for harvesters working in the cold conditions. There were also added hours because it took longer to dry the cannabis, Torres said. “If you’re running a greenhouse, you’re protected from that. You’re still getting the best that natural light has to offer,” Torres said. “And if there’s not enough, you shut the curtains and turn on the artificial lights, so you can keep harvesting all year,” Torres said. Torres also knows growers who have lost hundreds of thousands of dollars because they failed to test the soil of the outdoor site they’d chosen, only to learn after their crops failed that the soil was of poor quality and full of metals. THE VERDICT: Greenhouse and indoor provide superior environments and aren’t exposed to the risk and unpredictability of outdoors. Nevertheless, growers agree that a business plan should include an outdoor grow: The low costs offset losses during times of bad weather and produce strong margins in good weather. While economic factors will likely drive more growers into greenhouses, there are situations where indoor can be the preferred method – at least in the short term and in some cases the long term. For example, in very humid climates like Florida or Louisiana, outdoor growing poses great risk of mold, while the cost of dehumidifying a large greenhouse could rival the electric costs of an indoor grow. So you might as well go with an indoor grow. But some industry executives believe even that may be a poor investment, especially if you anticipate federal legalization in the future and the possibility of shipping cannabis across state lines. 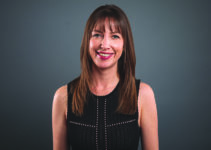 “Do we want to go and build a $5 million or $10 million facility in Florida to process indoor for a lifespan of who knows how long, when you can have high-quality, lower-cost, greenhouse cannabis shipped from somewhere else?” Torres asked. Boutique growers may also be able to continue to grow indoors, given the lower cost structure of a small operation and the higher prices that their product commands. And there are those who believe indoor will not only survive but supplant greenhouses. James Eaves, a professor in the management department of Laval University in Quebec, says most industry prognosticators have failed to consider the plummeting price of lights, as well as vertical farms – indoor farms where plants are stacked to maximize space – that he says will make indoor growing cheaper than greenhouse growing. THE VERDICT: Time will tell.